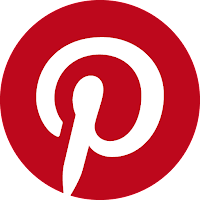 According to information received from Desmond Photographic Distributors, they have released an accessory product requested by their customers for a long time. 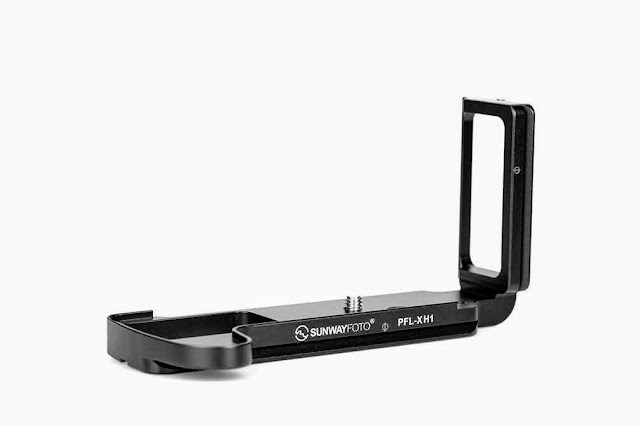 That is a short 3/8"-16 screw which may be used to mount a Quick Release Clamp on a Ball head bottom mounting hole, back to back on another QR clamp with a 3/8" threaded hole and other applications without the need of a bushing adapter. Due to their shape they call them "Bullet" screws at Desmond. 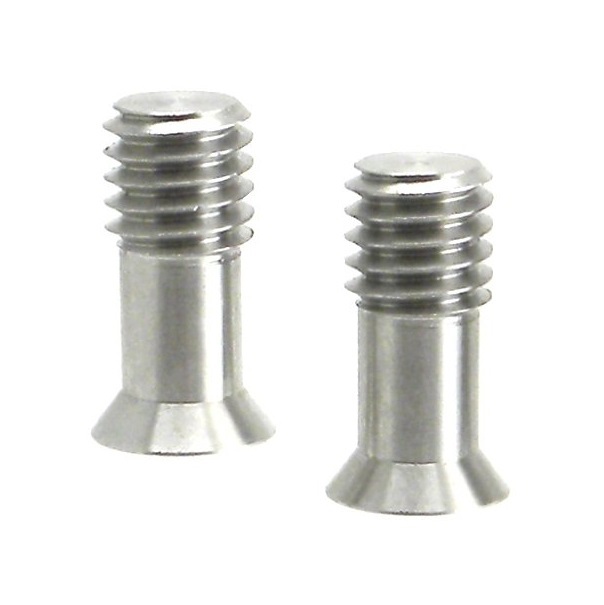 Same as most Desmond accessory screws, these "Bullet" screws are made of stainless steel for increased strength. The dimensions and the thread to neck proportions are very appropriate for use with a Quick Release Clamp. 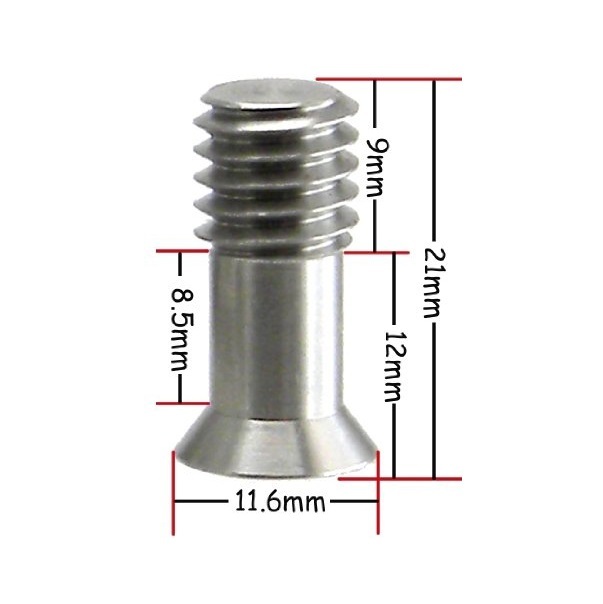 Desmond 3/8"-16 "Bullet" Screw total length, neck and thread dimensions. 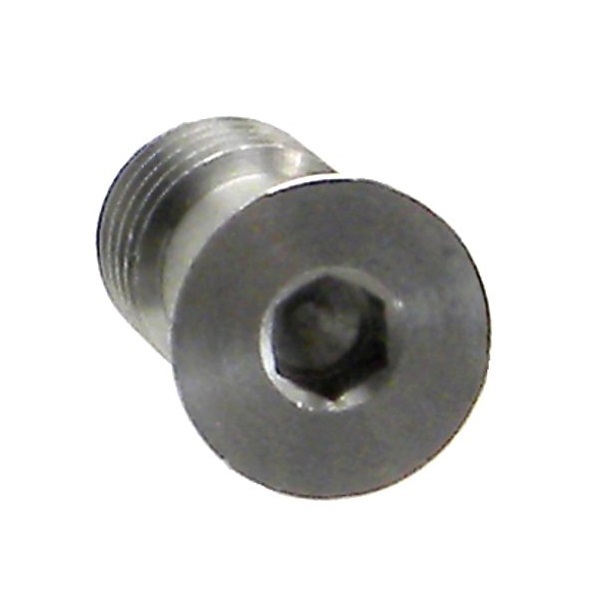 The screw head is small especially designed to fit the counter sunk center holes of quick release clamps and features a 4 mm hex socket for proper torque with an Allen hex key. Desmond 3/8"-16 "Bullet" Screw flush mount head with hex socket.